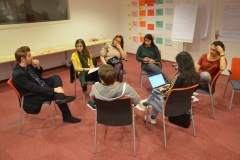 The project aimed to strengthen activism and cooperation of Roma, Jewish and non-Roma/Jewish youth in Hungary in order to challenge antigypsyism and antisemitism and to find common points for cooperation. 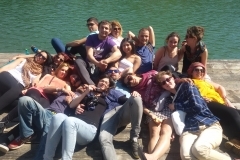 Phiren Amenca International Network and its partners brought together 150 young Roma and non-Roma people from all over Europe to the European Youth Capital Varna, Bulgaria between 24-30. 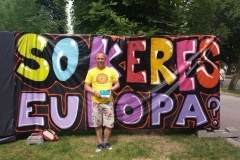 August, 2017 to raise their voices against racism and discrimination towards Roma people in Europe. 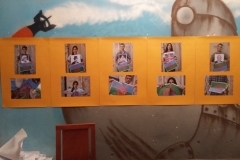 These photos were made by participants of the FOCUS workshop, inspired by FOCUS Roma Cinema Youth Project. 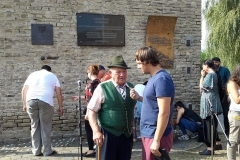 Romano Glaszo, a Hungarian folk group also joined the group of Phiren Amenca to take part of the Dik I Na Bistar 2016 event in Krakow and Auschwitz-Birkenau. 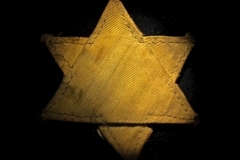 The band had concerts and a performance in the Galicia Jewish Museum where they performed their Holocaust Ballad. The show the performance in Krakow was supported by the Balassi Institute - Hungarian Cultural Institute in Warsaw as part of their Hungarian Cultural Year in Poland. 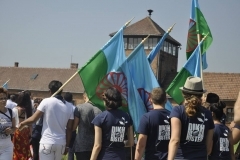 Around half thousand young Roma and non-Roma people payed tribute to the memory of those who were violently murdered due to a destructive ideology on August 2, during the official commemoration ceremony by the Central Council of German Sinti and Roma in Auschwitz-Birkenau. 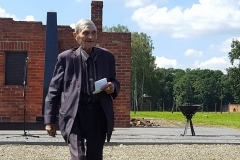 On Agust 4, during a youth ceremony by the participants of the Dik I Na Bistar 2016 in Auschwitz-Birkenau young people held a moment of silence and an ode for the victims of the Holocaust in the presence of two survivors. 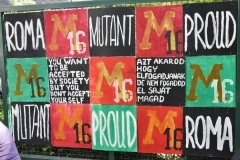 Around 50 young Roma and non-Roma people from all around Hungary joined the group of other hundreds of young people at the Roma Genocide Initiative 2016 event, organised by ternYpe – International Roma Youth Network between August 1-5. 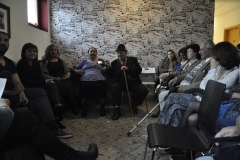 Before the departure Phiren Amenca organised a press conference together with Forgács József, Bandi bácsi, Holocaust survivor, who also joined the group at Krakow. 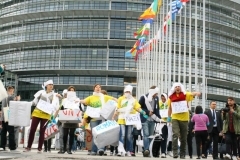 Solidarity March with 500 people with the communities in Pata Rat in Cluj. 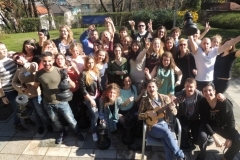 \"City of the people, not for profit.\"
Phiren Amenca International Network and its partners bring together 300 Roma and non-Roma young people from all over Europe to the European Youth Capital Cluj-Napoca, Romania to raise their voice against racism and discrimination towards Roma people in Europe. 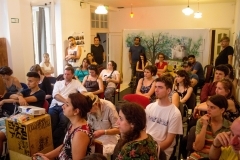 Thematic workshops and special activities are taking place between July 12-19 in Cluj Napoca, Romania, where participants have a chance to learn more about the situation of Roma in Europe, to learn and discuss about human rights, antigypsyism, as well as empowerment and activist strategies. 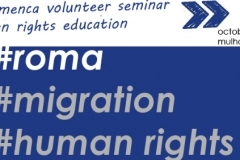 Phiren Amenca Fall seminar in Strasbourg 2014, about Roma migration, Roma history and Human Rights. 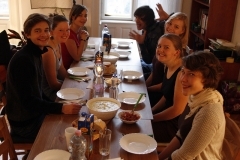 Putren Le Jakha was an international youth conference on antigypsyism organized by Romano Centro, Phiren Amenca and other partner organizations in November 2014 in Vienna. 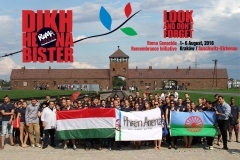 Phiren Amenca and Ternype International Roma Youth organisation organised in 2014 the Roma Genocide Comemoration with 1000 youngsters from all Europe. 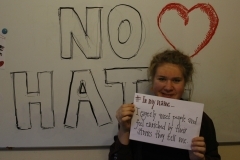 Photo Gallery: Beyond Roma and Diversity! 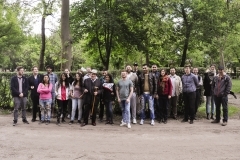 Members of Phiren Amenca and ternYpe International Roma Youth Network with the participation in the March of the Living 2014, to draw attention to the fact that the official recognition of the Roma Genocide is still very limited, especially among young people in Europe. 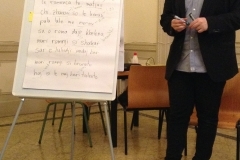 May 12-19, 2013 in Florence, Italy. 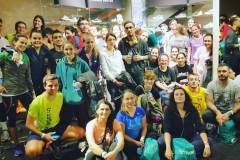 40 Roma and non-Roma volunteers, volunteer candidates and youth leaders came together to challenge stereotypes and antigypsyism and engaging in a public campaign for Roma rights with creative street actions. October 14 - 20, 2012 in Budapest, Hungary at the European Youth Centre Budapest, Hungary. 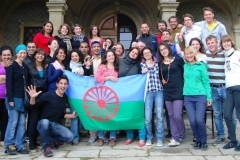 40 Roma and non-Roma volunteers, volunteer candidates, youth leaders came together from 15 countries in Europe and North America. 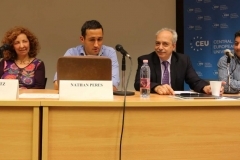 In cooperation with the Youth Department of the Council of Europe. 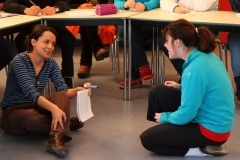 Summer camp from June 9-15, 2012. 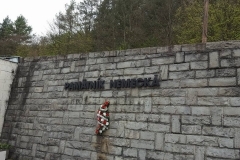 On Tuesday April 17, 2012, the seminar participants visited the Holokauszt Emlékközpont - Budapest Holocaust Memorial Center. 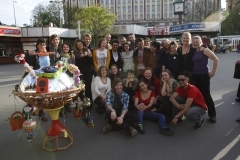 Using entirely reclaimed materials and art supplies collected in Budapest’s 10th district the citizens of Planet Paprika worked together to create a sculpture of the kind of world we hope to live in. Candid photos from April 15-21! 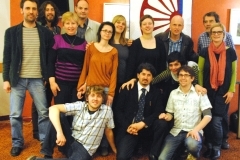 With special guests Szidónia Sólyom and József Rostás. 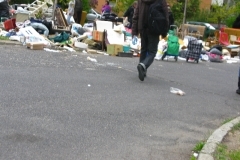 April 18, 2012. Official founding meeting with Phiren Amenca Member Organizations. 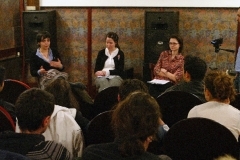 March 29, 2012 in Budapest, Hungary. 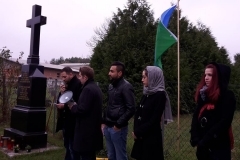 A Phiren Amenca és a ternYpe Magyarország Hálózat tisztelettel meghívja a „Rólunk, velünk” című rendezvényre. 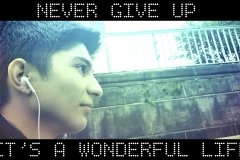 March 15, 2012. 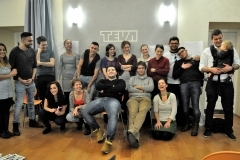 The Phiren Amenca Volunteer Seminar Fall 2011 ran from November 30th to December 4th, 2011 in Budapest, Hungary. 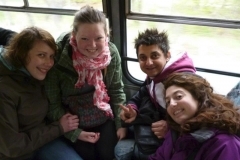 9 volunteers participated, Roma and non-Roma, coming from volunteer placements in Germany, Romania, and Ukraine. February 17 - 22, 2011. Berlin, Germany.